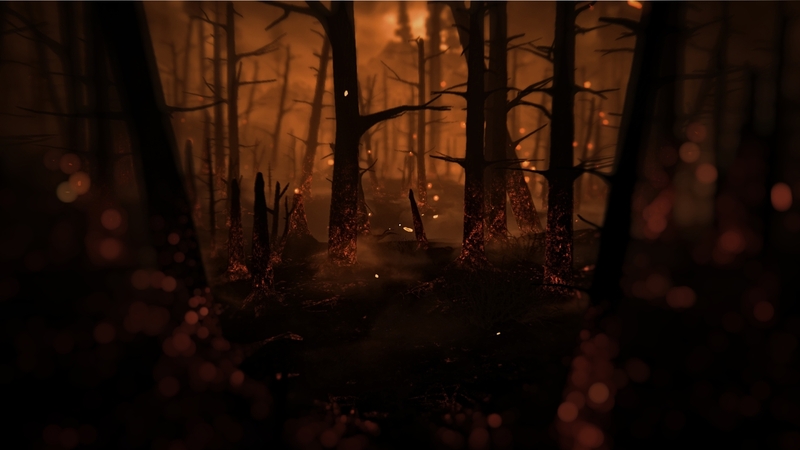 Kholat and Her Story are two games that made it utterly clear to me how the gaming world craves new and fresh ideas. Both have very different approaches to game play but are connected by their mission to expand the horizons of our currently stagnating gaming landscape. Too long have we suffered and endured reboots and carbon copies. In an industry where the word saturated is only ringing more and more true, these two titles are our champions in creating unique and innovative gaming experiences. 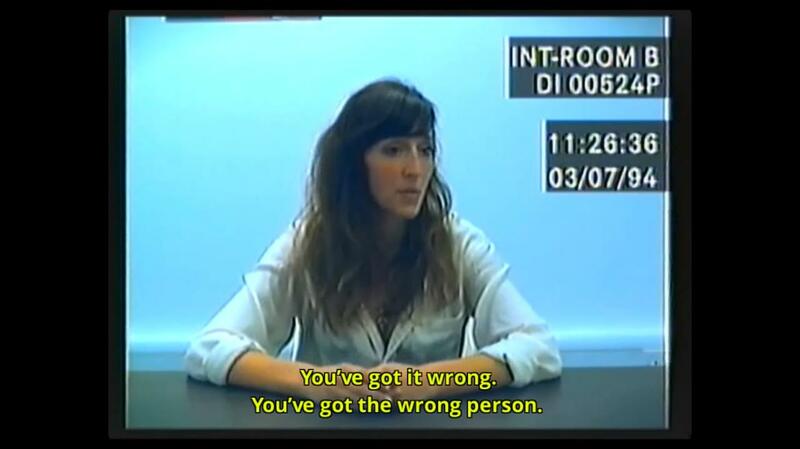 Her Story is a unique and innovative detective style game brought to you by the mastermind game director, Sam Barlow (Silent Hill: Shattered Memories, Silent Hill: Origins). Many describe it as more of an interactive movie rather than a game because of its unusual game mechanics and approach to game play. 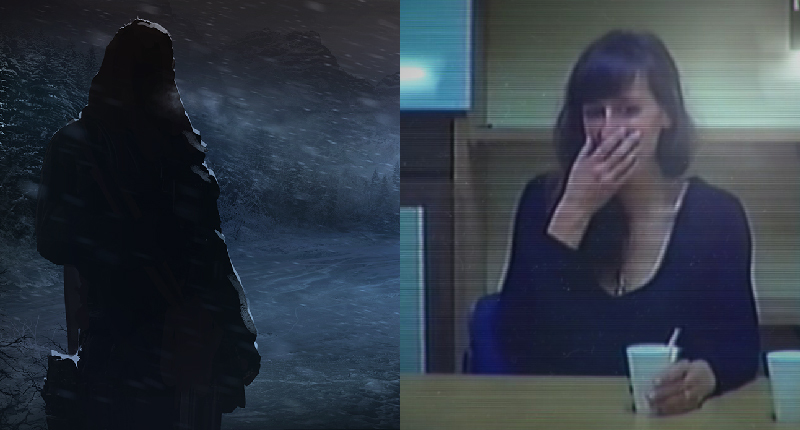 Whatever the case, Her Story challenges the way we see and experience video games. Her Story’s entire non-linear narrative plays off on a computer desktop. You are given access to a police database that holds archived footage from 1994 that covers a series of interviews detectives conducted with a British woman concerning her missing husband. It is up to you to piece them together and solve the over arching mystery. Did she kill her husband? Or did he simply just run away? The interviews are divided into short video clips of no more than 30 sec and they are arranged in no specific order. Each of these video clips carries a tag (keyword) that has some connection to what is being said in the video. You will be using these keywords to search the database and find the missing pieces of the mysterious puzzle. For instance if she said something about visiting Scotland you can search for the word “Scotland” and it will return all the results that have some connection to Scotland. “If you can Google, you can play Her Story,” says Barlow. The mechanic of searching for the clips in the database is so simple that anyone can pick up and play. But it’s a mechanic that quickly revealsits richness and complexity. At times it can feel like you’re engaged in a genuine dialogue with the this woman and her story. It’s a unique way to interact with a narrative, a sculptural way of viewing a story – and something that can only be done interactively. Her Story is a strange but utterly immersive experience. I have never played something quite like it. At times it will leave you feeling totally lost and confused, while at other times you will be filled with excitement as you start to see the bigger picture, much like a detective must feel while trying to solve a case. 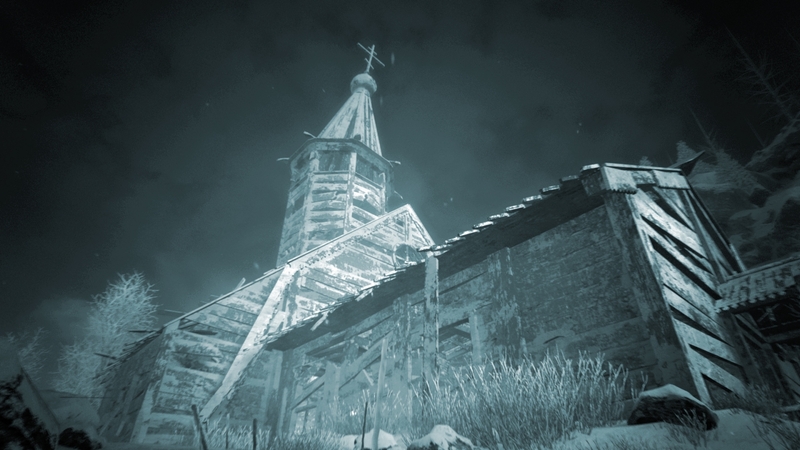 Kholat is a masterpiece in its own right. It combines an in-depth and strange narrative with an immersive and graphically stunning environment. Together with Sean Bean’s (Game of Thrones) voice acting as narrator, it is as a cinematic and captivating gaming experience as any other. 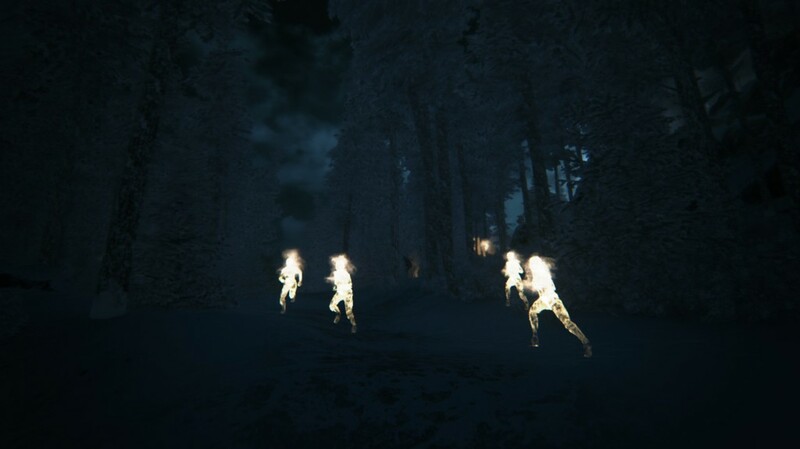 The first thing that caught my attention about Kholat is the fact that its mysterious narrative is based on a true story, making it all the more chilling. Nine students go hiking on Kholat Syakhl (translated as “Dead Mountain”) in the Russian Ural Mountains. On 2 February 1959 all of these hikers were found dead near their campsite in strange and mystifying circumstances. Investigators could determine that they had torn their tents from the inside, probably in an attempt to escape an unknown threat. It could also be seen that fled in a hurry as many were found with no shoes. The bodies showed no sign of a struggle (such as bruises or abrasions) but two of the bodies had cracked skulls and broken rib bones. To this day the case remains unsolved and there have been numerous speculations ranging from an avalanche to a hostile extraterrestrial encounter. In Kholat you are given the opportunity to explore this mystery and follow in the footsteps of the nine unfortunate victims. The game’s environment and tone is at once eerie. It is clear from the very start that this game was built with passion and boasts a ghostly beauty that is further enhanced with painstaking detail. In terms of game play, it is a very simple first person exploration game. One aspect I found significant was the game’s lack of guidance. You are never told what to do or how to do it and you are pretty much left to your own thoughts and devices. I feel this both respects the player’s intelligence and leads you to explore the wonderfully constructed world. Though exploration is encouraged, the game does mostly provide linear paths to follow with some secret little passageways to discover that will usually lead to a note or book that reveals something about the story. Nothing in this game is without meaning, and it all contributes to further enhancing the immersion of the story. You will be given a map and compass to track and find your way through the rather immense world, something I haven’t seen in a game before. I found this method of navigation both interesting and frustrating. Interesting because it was a new approach to game play and frustrating as I regularly failed in my attempts to track my location. It seems that in a game just as in real life, my navigational skills are still terrible. Regarding the interpretation of the story, the developers definitely took the more paranormal of routes. In some sections of the game you will have to avoid a scary, orange-glowing figure otherwise it will lead to your utter demise. I would love to say more about this game but I feel like I would be diluting its impact. What I can say is that if you are looking from something different that masterfully combines story driven game play, atmosphere and jaw-dropping beauty, then Kholat is undoubtedly the game for you.